For the 11th consecutive year, plastic surgeon and Dallas rhinoplasty specialist Dr. Rod J. Rohrich has been recognized as a top physician as a Texas Monthly SuperDoctor. Awards such as this one help to underscore the importance of surgeon selection and can act as a useful component to help guide patients who are seeking exceptional, specialized care. Dr. Rod J. Rohrich, Distinguished Teaching Professor in the Department of Plastic Surgery at UT Southwestern Medical Center, has been recognized as one of the best plastic surgeons in Dallas for 2015. This year's recognition marks the 11th consecutive year that Dr. Rohrich has earned this prestigious peer-review award, the first being in 2005. The results are compiled by MSP Communications and appear annually in a special supplement that accompanies the December issue of Texas Monthly which focuses on top doctors in Texas. The commendation is awarded to physicians based on nominations by colleagues practicing in their specialty and within their region. The highest rated nominees are then reviewed by a panel of peers based on a number of factors. The panel rates each doctor on 10 areas of professional excellence and achievements. These include years of experience, professional honors, board certifications, academic roles, and teaching positions. Candidates are also rated on their involvement in scientific publications, participation in lectures, and other professional activities. 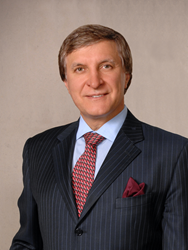 Based on his extensive ongoing work in these areas, Dr. Rohrich, whose clinical practice focuses on aesthetic plastic surgery such as rhinoplasty, has been designated as a SuperDoctor for the 11th consecutive year in 2015. According to their website, the SuperDoctor award is only granted to the top 5 percent of regional medical specialists as rated by their peers. This peer-review system isn't only important within the medical profession. "These designations are a valuable resource for prospective patients," said Dr. Rohrich. "Surgeon selection is the single most influential factor for ensuring a successful outcome in plastic surgery. Along with board certifications that measure a surgeon's experience, these awards can help patients choose the best plastic surgeon in their area." Dr. Rohrich is a longstanding advocate for patient safety. A large portion of his practice consists of secondary surgeries, often for patients who have had bad results from their primary surgeries. Over half of his rhinoplasty patients in Dallas, for example, come to him seeking revision rhinoplasty - corrective surgery from a previous rhinoplasty which had a unsatisfactory outcome. "Awards such as this one help to underscore the importance of surgeon selection and can act as a useful component to help guide patients who are seeking exceptional, specialized care," says Dr. Rohrich.